What is the Wide Vision Lens and how does it affect my use of Canvas? The Wide Vision Lens increases your iPad's color camera to 120º and allows it to see more of the scene at once. This allows the camera to see more "features" in each image (edges, corners, detail, etc) and therefore will generally lead to more accurate results and more robust scanning — particularly in emptier rooms. Why does widening the field of view matter? To understand that, we first need to explain a little bit about "tracking" and how Canvas works behind the scenes. As you scan, Canvas is building a 3D model of your environment in real-time, as you move around the scene. To do this correctly, Canvas needs to understand where you are in relation to the 3D model generated, and do this over and over again for every single image frame it sees. This is referred to as "tracking," and in order to do it effectively Canvas needs to see differences from one frame to the next — otherwise it can't tell if you've moved. This is why we always tell our customers to make sure they keep "features" (edges, corners, detail, etc) in view at all times. For example, if you are scanning very close to a wall, the camera may just see a flat, blank white image for several frames in a row no matter how much you've physically moved, and this can cause Canvas to lose track of where you are in the model and create error in the reconstruction. The same thing can happen if you are scanning in the dark (the images are pitch black from one frame to the next) as well as over extremely bright light (the images are all white). However, if you are scanning a kitchen wall with lots of cabinets, every image frame is going to look slightly different as you move, so tracking should be very robust. 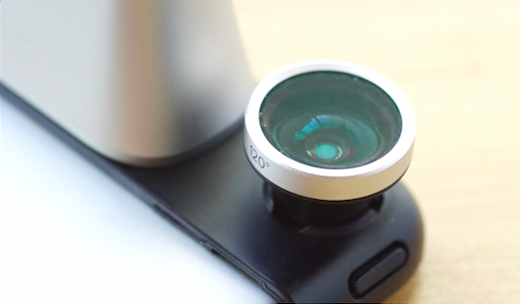 This is a very common problem in mobile 3D scanning, and we built the Wide Vision Lens specifically to help address it. 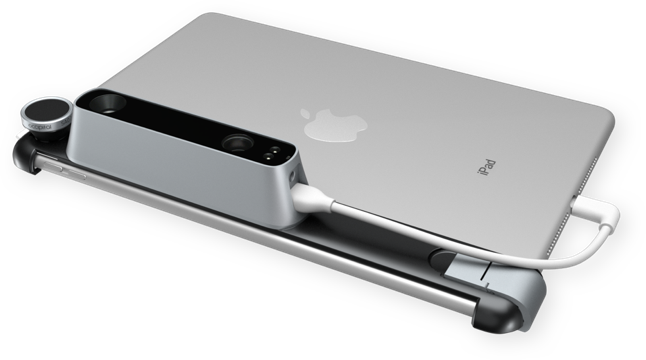 The lens widens the field of view of the iPad camera to 120º, so the camera can see more of the scene at once. By seeing more of the scene, it is more likely that you'll see lots of features (which will look different enough from image to image) and less likely the images will look the same. It's not a silver bullet, so you should still keep an eye out when scanning to make sure you are keeping features in view and that the scene isn't getting too dark or too bright. It does, however, mean you will find it easier to keep sufficient detail in the camera's view, especially in sparser environments (like a completely empty apartment with bright white walls), so your scans should generally be more accurate and you should run into few cases where tracking is lost and you need to start over. It is for that reason that we automatically bundle it with every order from the Canvas website (at a discount), even though it's not a strict requirement and you can scan without it. You can also purchase a Wide Vision Lens as a standalone accessory from the Structure Store's accessories page, but it is not bundled with purchases from the general Structure Sensor website because that website services customers across many different verticals (most of which would not need the lens, as they are focused on things like object scanning). If you bought your sensor from the general Structure Sensor website, just reach out to us at support@canvas.io and we can help make sure you get everything you need.